There are definitely breeds of cats that get along better with children than others, and you want to be 100% sure that the new cat you are adding to your family is going to add enjoyment and fun to your family situation rather than extra stress and pressure. Thankfully, you will be glad to know that American Shorthair cats are very good with children. Incredibly intelligent as well as incredibly social, these purebred cats have temperaments that definitely get along better with children than some other purebred cats – and they don’t even mind the occasional “roughhousing” and that some children are going to be interested in. Now, obviously, you’re going to want to do everything you can to acclimate your children AND your new American Shorthair to the new living situation just as quickly and as safely as humanly possible. That’s going to involve laying down some ground rules for both groups, and hopefully the tips and tricks below help you do exactly that. Make sure your children know exactly what you expect from them when they play with the new cat. As we touched on above, children (especially very young children) are naturally curious about small animals and are going to have a tendency to want to play with the cat in ways that your cat may not yet be used to. It is very important that you lay down ground rules for your children as far as what acceptable play is as well as ground rules for the kinds of things they need to avoid at all costs – not only to guarantee that they have happy experiences with the cat, but also to help make sure that your cat doesn’t become frustrated when they play rough. 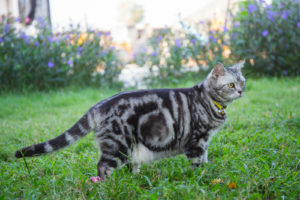 American shorthair cats have incredible intelligence, as well as a significant amount of patients that allows for them to be much more “trainable” than some of their kitten counterparts. 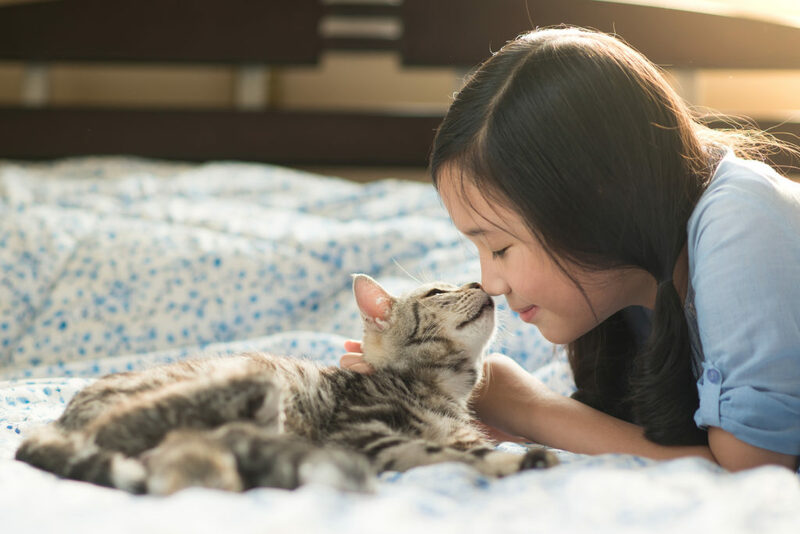 Take the time to work with your cat (especially in its first few days in the home) to train them to respond favorably to your children, to understand their noises and their giggles, and to give them a baseline for acceptable behavior as well. You’ll save yourself a world of hassle and headache with these two approaches!